Finally…..Model Drawings for the Little Guy! Are you looking for a new way to teach story problems? When I work with children, I see the confusion on their face as they approach story problems. They know to ‘underline the important information’ and ‘circle the numbers,’ but then they usually apply whatever “rule” we are learning that week (add the numbers, or subtract) but they often don’t truly understand what they are doing or what is being asked. After doing model drawings you will wish you learned how to solve story problems this way because we would have actually UNDERSTOOD what we were doing. This helps give children a pictorial representation for their problem solving and helps them act out what the problem is asking. Using Cuisenaire Rods or Unifix cubes works great as a proportional manipulative, especially for comparison problems! We all LOVE Thinking Blocks and NOW they have one for the little guys…Introducing…. “Thinking Block Junior” Check it Out! 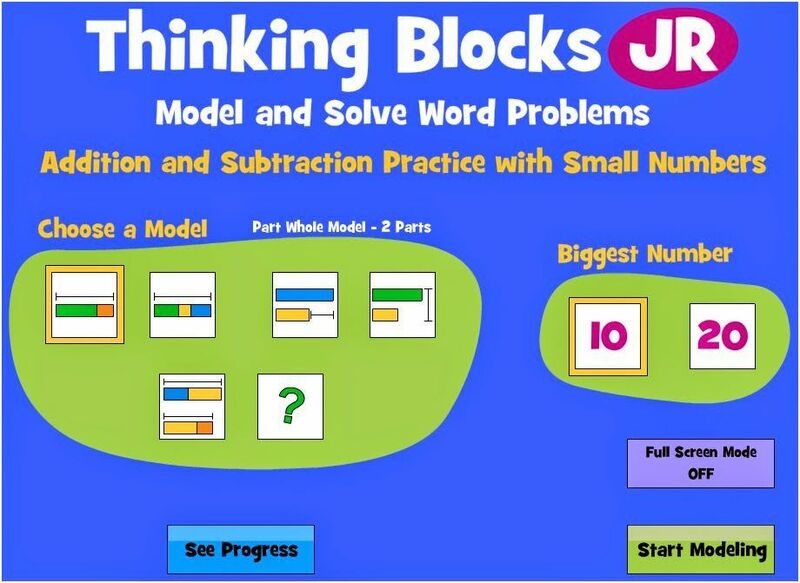 Click here to see “Thinking Blocks Junior” for yourself! The activities on the site provide BOTH guided instruction and independent practice and it also features a progress monitoring tool too! Students may work on a specific skill or attempt randomized problems in each category. Full screen option for use with interactive whiteboards. You have to take a look! Here is a FREEBIE of my Journal Template to use with your story problems and for journaling.